Run fast, keep cool and stay focused on your goals. 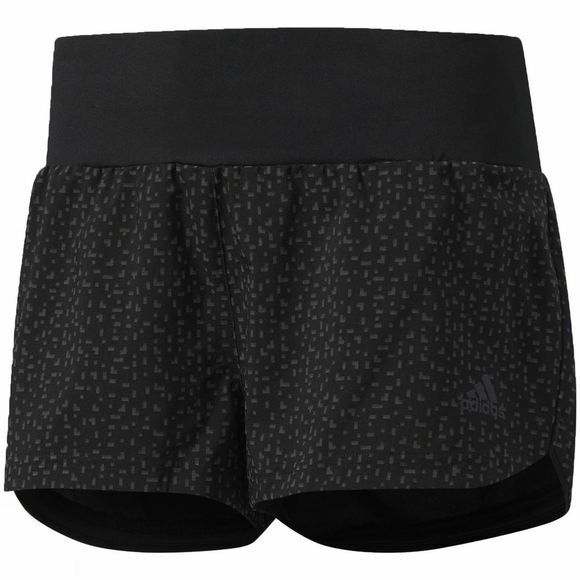 These women's running shorts are made of soft, fluid climalite fabric to sweep moisture away from your skin for long-lasting, dry comfort. Built-in mesh briefs provide additional ventilated cooling, and a drawcord elastic waist allows for an adjustable, secure fit. The shorts feature a sweat-guard back zip pocket and convenient inner slit pocket at the waist. Reflective details finish the look.